Are you always in a rush in the mornings and never seem to provide your kids with a healthy breakfast. 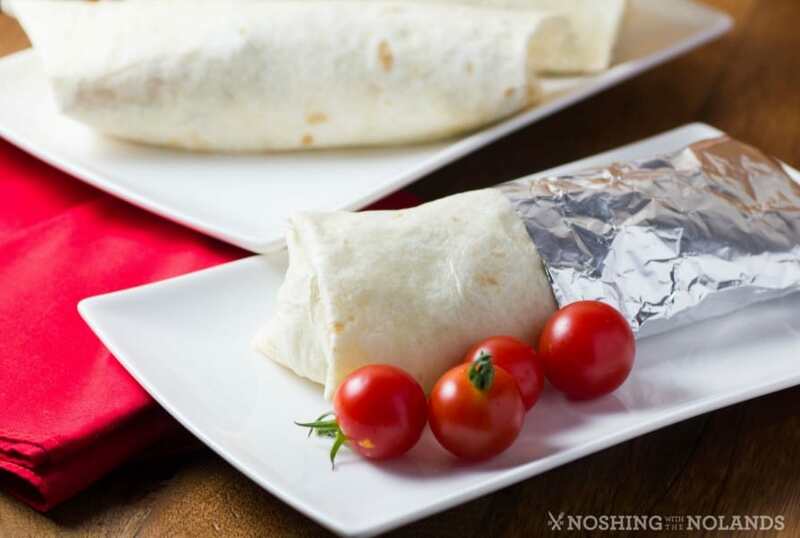 Making these Freezer Breakfast Burritos ahead of time, gives you the peace of mind that your kids will start the day off right! This post first appeared over at Real Housemoms, where also I’m a contributor. Burritos stuffed full of all your favorite breakfast items, sausage, eggs, peppers, cheese or whatever you fancy to put in them. Then they are frozen, wrapped in foil and are ready when you are for a fabulous breakfast. Two minutes in the microwave is all it takes to have a quick and delicious breakfast for you and your kids!! Ken loves a great quick breakfast and so does Amber. She is very lucky to have a dad that will happily make these for her anytime. Both of them and myself really enjoyed the quick convenience of these wonderful burritos in the morning. They will give your kids a great protein boost to help them study hard at school and carry them easily to lunch time. Serve some fresh veggies or fruit on the side and you have a complete meal. I like the idea of making mini ones also for the little kids. They would love these too! Wrap a paper towel around these when you are microwaving to help catch the condensation. It keeps them from getting soggy. They then come out perfectly from the microwave. 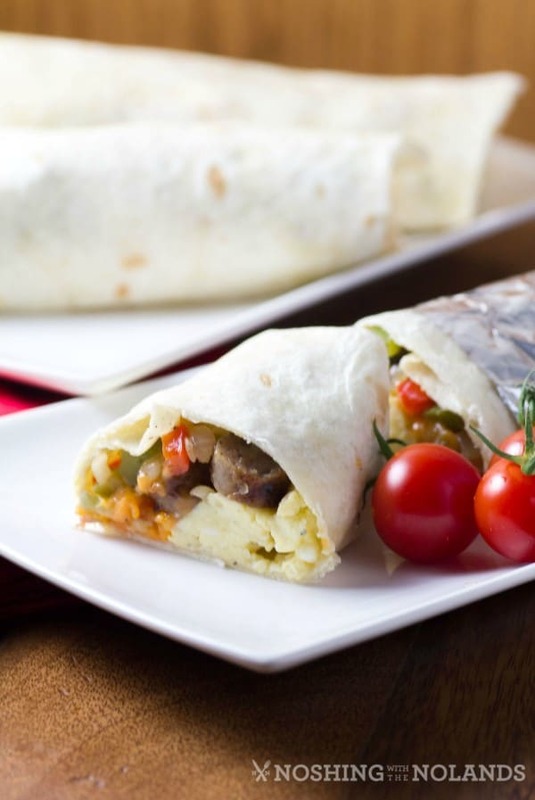 A fantastic breakfast burrito that has all the convenience for a quick but healthy way to start the day! Cook the sausage and then let cool and slice into small pieces. Cook peppers and onions in a medium skillet with 1 Tbsp. canola oil. until soft but not browned. Salt and pepper to taste. Beat eggs with 2 Tbsp. water, salt and pepper to taste. In the same pan add another Tbsp. oil and scramble eggs until soft (don't overcook them). To build the burrito, divide the amounts by ten, first lay in the eggs, then top with sausage, peppers and onions and top with cheese. Roll up tucking in the sides. Freeze on cookie trays and wrap in foil and place in freezer bags. 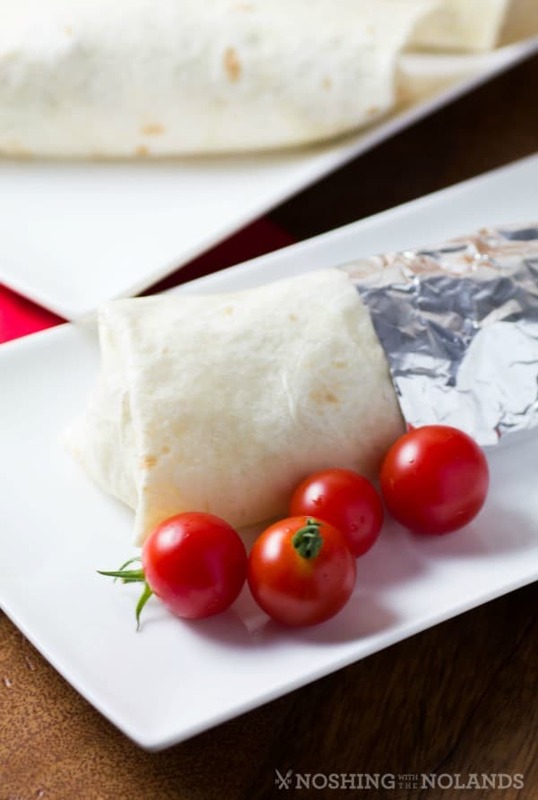 When ready to use, unwrap from the foil and loosely wrap in a paper towel and microwave for 2 min. or until hot, let sit for 1 minute before serving. I like how convenient these are. When I get busy with work I don’t always have time to make a full breakfast. These look SO good and simple! 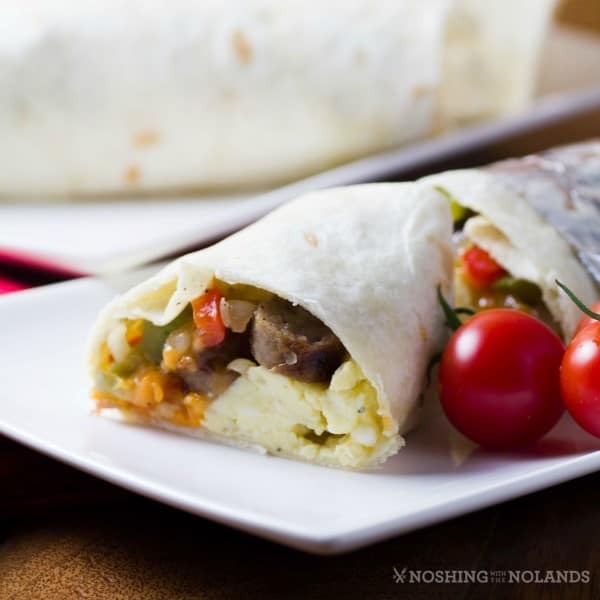 My hubby is a big lover of breakfast burritos- I know that he will love having these available in the AMs! These look so yummy! What a great idea! We make breakfast burritos ALL the time. It’s definitely a go-to for my family when we’re in a hurry, but still want a warm and hearty breakfast. My kids are so picky bit so love burritos! I think this could be a great breakfast hack! These look amazing! I love how you can stuff them with whatever you want and then heat them when you need them. As a mom who never has time for breakfast, these are perfect! This is so fabulous! I can even make it vegan. Perfect for rushed mornings. What a great idea! My kids love breakfast in the morning but it’s my least favorite meal to cook. Having these burritos in the freezer would be perfect. I prefer a hot breakfast over a cold bowl of cereal and your breakfast burritos sounds like a perfect solution. I’m sure the my family will enjoy them too! I like the concept of cooking so many meals ahead by freezing them too.